Bob Marley died on May 11, 1981 and this year marks the 35th Anniversary of his death. According to Forbes Magazine, Marley has the fourth highest income for a deceased celebrity. His family has kept his legacy alive through it’s company Tuff Gong and it’s various business enterprises, which earned is his estate $21 million. 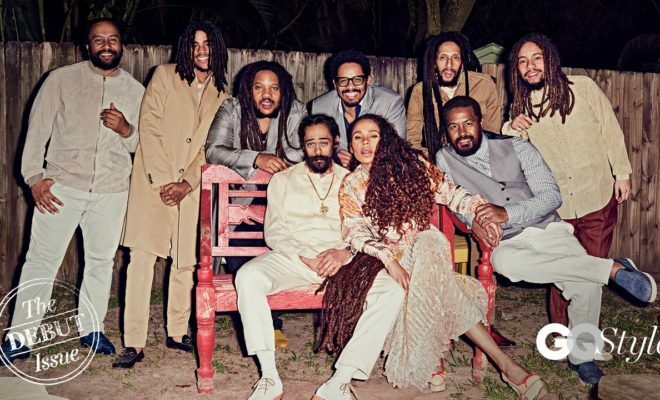 GQ Style reunited Bob Marley’s children and grandchildren for their first photo shoot in more than a decade.